How To Remove Old Or Damaged Insulation Properly | Jerry's Insulating Co.
By the time you have hired contractors to remove your old insulation, it can be safely assumed that you would have gone over all the alternatives that you have. The problem may be a small damage caused by a leaking roof in one part of the house, or even bad installation in your old insulation thus requiring removal rather than reinstallation. If you are certain that you need to remove the insulation, then you will have taken a step in the right direction. You can also ask your insulation contractors about removal vs. reinstall as they will explain the difference to you and guide you on which one to do based on your unique situation. Once all plans are given the green light to commence, one of the things you need to be aware of is the tear-down process. For instance, your contractors may have planned to start the tear-down process up in the attic. When that happens, stay clear of the area while the professionals are doing their job. When the old insulation comes off, there will be plumes of fiberglass in the air and you will not want to breathe that in. Also, there will be a lack of fresh air in that area as the vacuuming process will take place simultaneously. 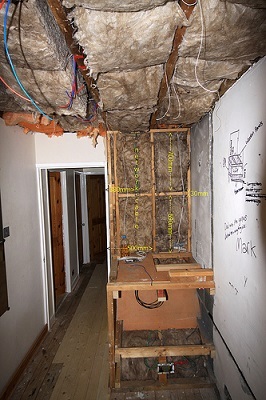 The process of insulation work in your home may pose certain health risks. Insulation is often installed in the attic where mold, mildew and other hazardous components could be found over the years. This means that you are always safer without the indulgence of taking matters into your own hands. You should always engage an expert to inspect the installation for any potential health risks and possibly walk you through the safety processes to gain a better understanding of what is going on. Contact us if you want to gather more information about removing the insulation in your house and we will offer professional help backed up by our vast experience in the field.